One of my paintings from my New Realm series has recently found a new home. The painting is titled Acceptance and is one of my largest paintings at 48″ wide by 36″ high. 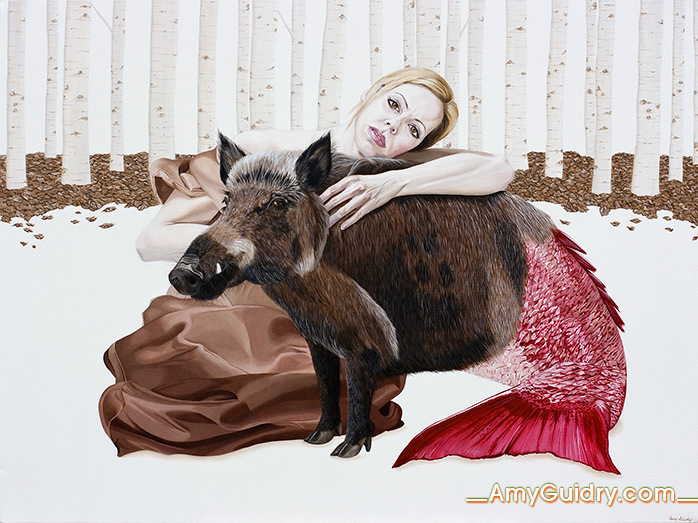 View more paintings from the series here: http://amyguidry.com/beginning.html. This is going to be a quick post as I am busy with holiday preparations in addition to painting. 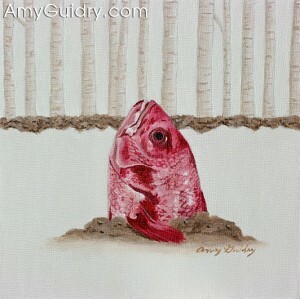 Aside from all the holiday madness, I am uber-excited about my latest painting. The title is “Acceptance” and it is yet another addition to my New Realm series. This is a large piece, 48 inches wide and 36 inches high, so obviously you don’t get the full feel of it from just a tiny little jpeg. Which is all the more reason to check it out on my website www.AmyGuidry.com, under the Gallery section. 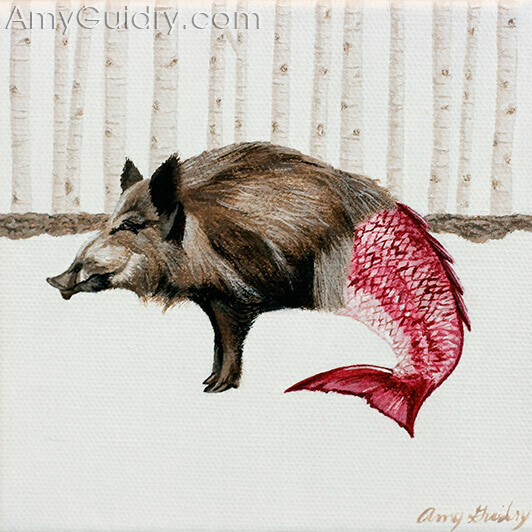 The boar/fish creature featured is another character from the surreal forest which the heroine encounters. Every hair and scale is painted in detail on this, so you can imagine how time consuming this was. I think I’m a masochist… At any rate, I am happy to say this piece is finally finished. I will be showing this piece in my upcoming solo exhibition at the Schepis Museum in Columbia, LA in March 2009. Of course there will be other pieces from my New Realm series, including more new paintings, so be sure to attend if you are in the area. More details will follow soon.